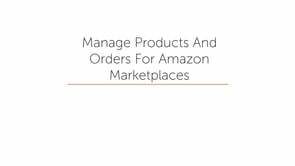 If you use Amazon to sell products online as well, you can download Amazon order info into Miva Merchant so you can manage and fulfill Amazon and Miva Merchant orders all in one location. In part 2 of this Marketplaces eBay video series, we talk about Listing Details, what they are, and how to configure them. If you are a Miva Merchant store owner that also lists your products on Etsy, you may want to have a look at Miva Merchant’s Etsy integration. In part 3 of this Marketplaces eBay video series, we take you through the steps of creating your first eBay product listing. Google Shopping is an product search service which can display your online products right in a user's google search results screen. Google Shopping is an product search service which can display your online products right in a user's google search results screen. This video will teach you how to add your products. If you also use eBay to sell products on the internet, you may want to look into the Marketplaces module. Watch this video to learn more. 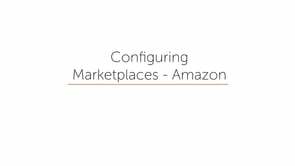 Once you have your Amazon account configured in your store, you will be able to manage products and download order information from your Amazon Marketplace, into your Miva Merchant store. Watch this video to learn how. In part 4 of this Marketplaces eBay video series, we show you how to manage your eBay product listings and orders. You can review and process Etsy orders from the Order Processing screen inside of Miva Merchant. Here's how.